Home / News / Dry or Dehydrated? How to correct your skin back into the youthful YOU! Dry or Dehydrated? How to correct your skin back into the youthful YOU! People assume that the terms dry and dehydrated are interchangeable when referring to skin but little do they know there is a chasm between the two terms. Dry skin or alipidic (if you are into impressing others -which means without lipids) does not produce oil. Skin follicles are very small and the sebum production is minimal. Smaller follicles indicate dry skin. The purpose of the natural oil that our skin produces is to hold onto moisture. If skin has no ability to produce natural oil moisture evaporates and problems arise making skin rough, taut and flaky. 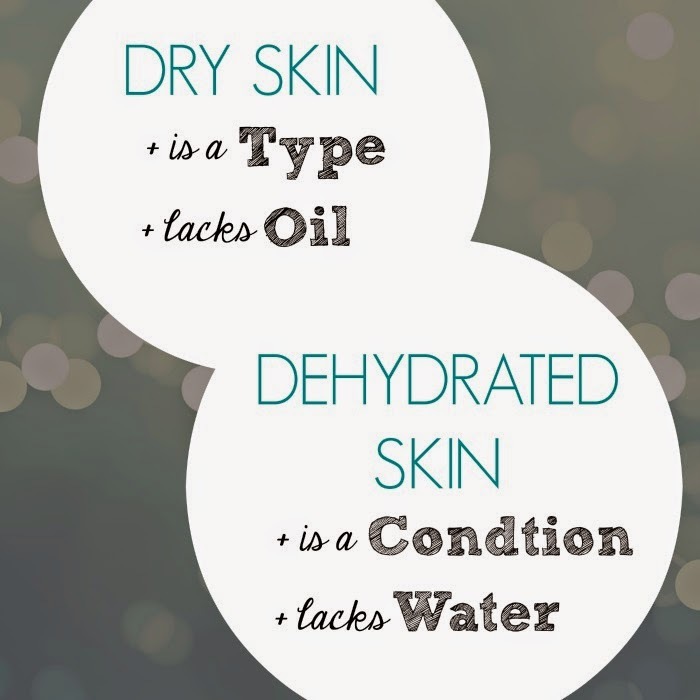 Dehydrated skin is not a skin type but a skin condition and it does not discriminate. You can have oily, dry, combination or acne prone skin and still have dehydrated skin. Dehydrated skin is caused by topical skin care and external aggressors like pollution, weather, smoking, artificial environment, harsh ingredients and products, medication, not drinking enough water, long hot baths and showers, over cleansing, chlorine and alcohol. Harding C, Watkinson A, Rawlings A, Scott I. Dry skin, moisturization and corneodesmolysis. Int J Cosmet Sci. 2000; 22(1): 21-52. Rawlings A. Trends in stratum corneum research and the management of dry skin conditions. Int J Cosmet Sci. 2003; 25(1-2): 63-95. Dehydration often reduces skin elasticity, so take this test to find out if you are dehydrated. After washing and drying your face pinch the skin on the bridge of your nose for a few seconds and release – the skin should snap back immediately if it maintains it for a few seconds – you are dehydrated.